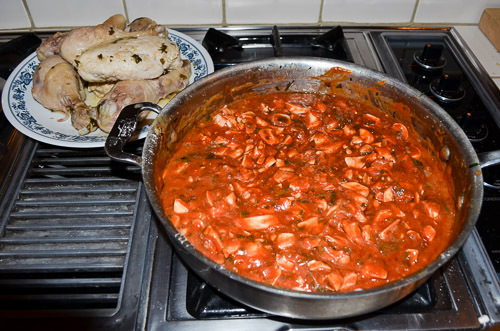 Chicken Marengo, according to legend was served to Napoleon after his victory over the Austrian army at the battle of Marengo. He loved this dish so much, and believing it gave him luck he insisted on eating it after every battle since. The story of this traditional French dish is probably just that, a story. Most likely this dish was created by a chef in a restaurant in honor of Napoleon's victory. There are many different versions of this dish some using crayfish and egg. 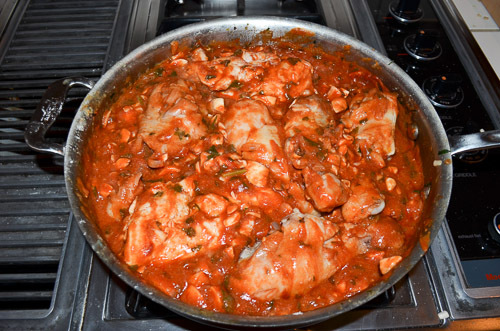 This version however is easy and a great traditional French chicken recipe to prepare at home. Even if the Napoleon story is just a myth it's fun to mention when you serve this dish for that extra bit of French culture. 2. Heat oil and butter in a large heavy skillet over medium-high heat. When butter stops foaming add chicken pieces and brown. Make sure butter doesn't burn. 3. 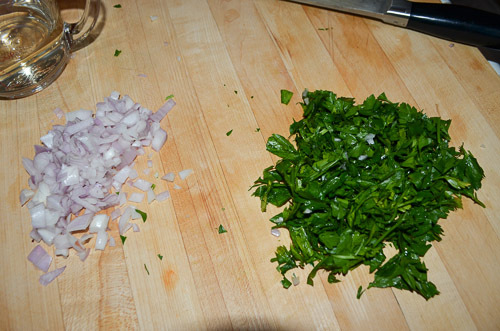 When they are half browned, sprinkle with parsley and shallot. Continue to brown. 4. In a bowl combine wine and stock then stir in flour. 5. 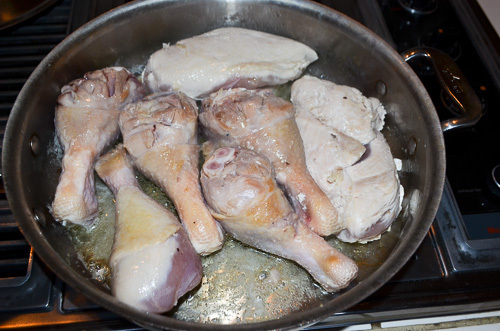 Add flour, stock and wine mixture to chicken. Then season with salt and pepper. 6. Cook gently for 1 hour. 7. Remove chicken and set aside. 8. 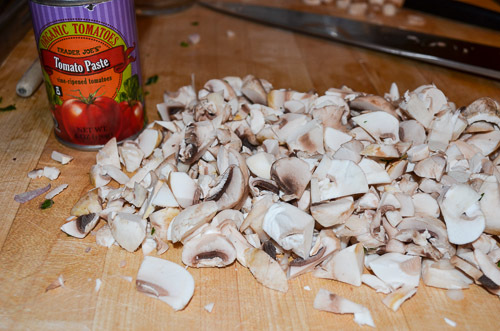 Add mushrooms and tomato paste to the pan. Stir to combine. 9. Return chicken to the skillet. 10. Cook 30 minutes more. Put chicken pieces on a serving platter and coat with the sauce.